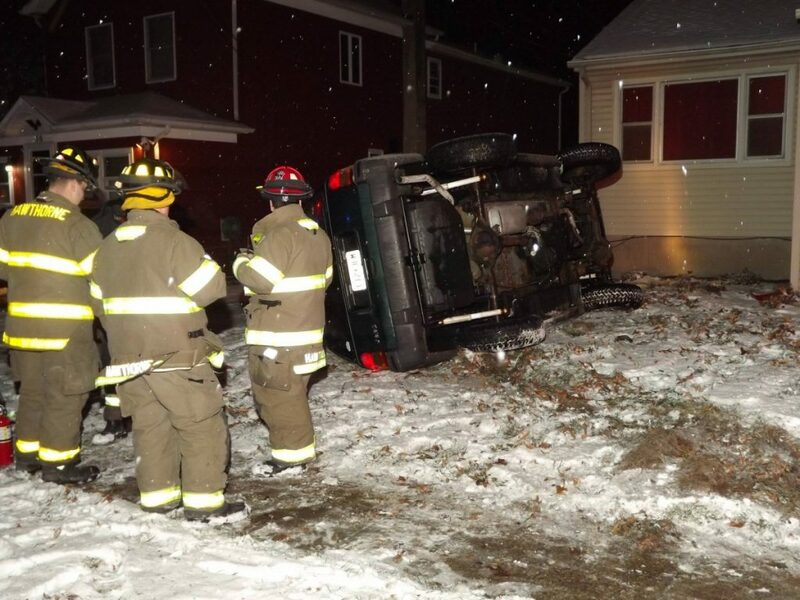 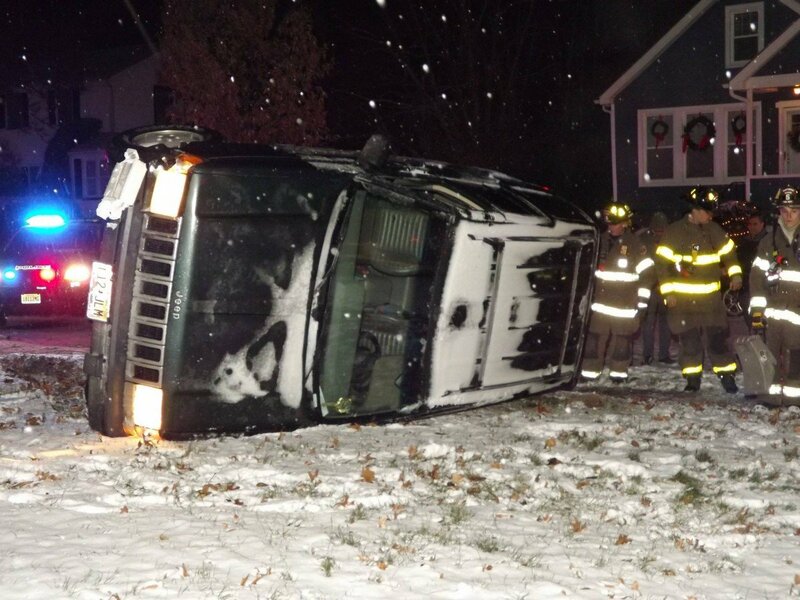 On Friday, December 15th at 6:15pm, the Hawthorne FD units responded to rollover crash on the lawn of 56 Forest Avenue, Hawthorne. 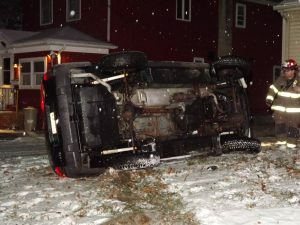 The male driver of a 1994 Jeep Cherokee was uninjured in the crash. 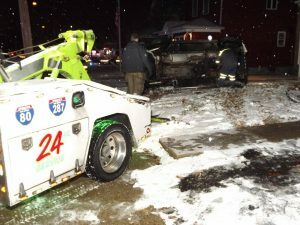 A hydraulic lift tow truck righted the vehicle before its removal from the scene.